The debut of my poetry book at the World Book Fair New Delhi 2018.Delighted!! Debut at the World Book Fair,New Delhi 2018. 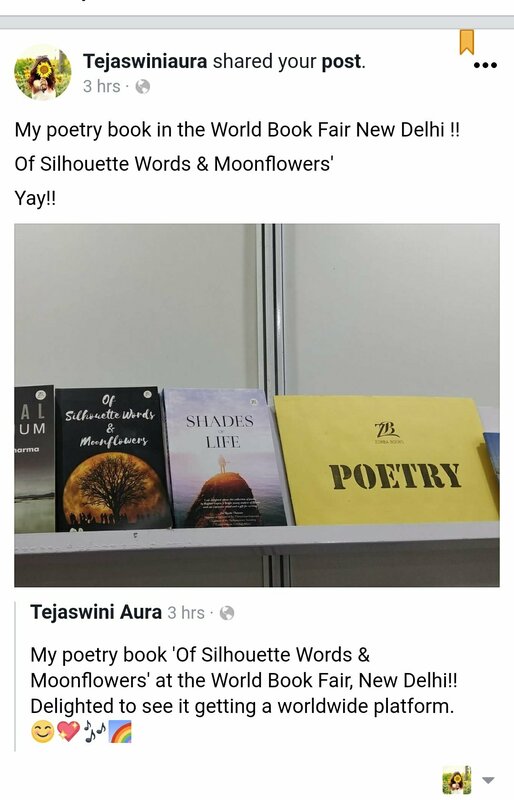 The debut of my poetry book ‘Of Silhouette Words & Moonflowers’ at the World Book Fair 2018 in New Delhi.Delighted it is being displayed and given a worldwide platform. 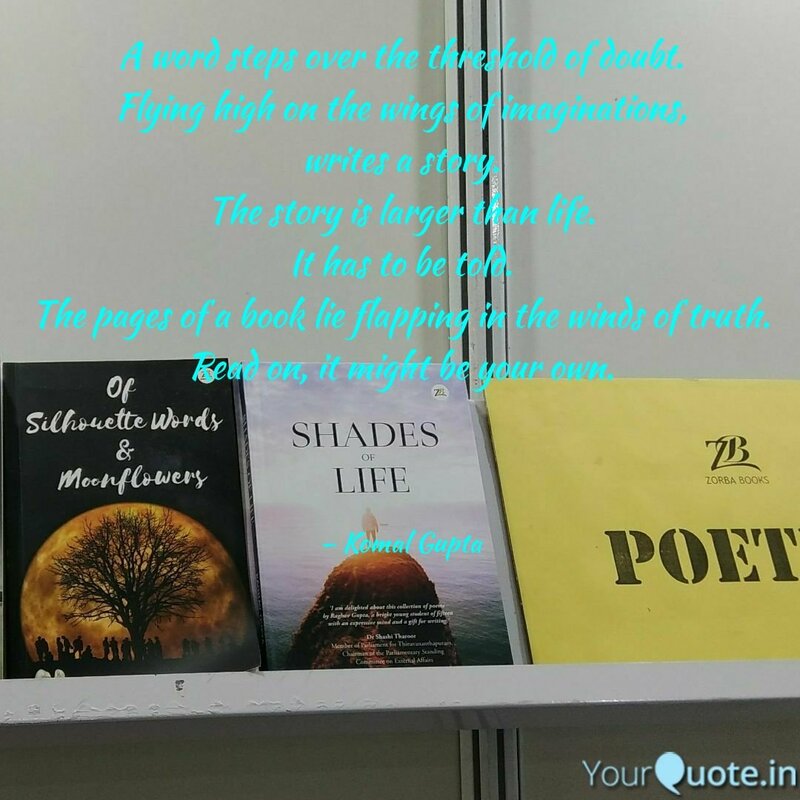 Author tejaswini22Posted on January 13, 2018 January 13, 2018 Categories Creative writing, Literature, Poetry, World Book Fair, WritingTags Book, Book Fair, Creative writing, Literature, poetryLeave a comment on Debut at the World Book Fair,New Delhi 2018.